Design and text by Wichit Sirichote. Full text and files at his website here. The kit is available for sale, kit or assembled! 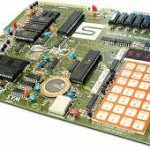 Back to 1982, when I was a student, I have learned the Z80 CPU with Multitech MPF-1 Kit. At the same time, I also have played with Apple II that uses 6502 CPU. But here in Thailand, Z80 is very popular. Many single boards computer use Z80 as a CPU. 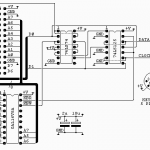 Colleges and university also teach basic microprocessor with Z80. I got two chips of 6502 CPU two years ago. At the yearend of 2014, 32 years since I was a student, I picked the 6502 CPU and designed the microcomputer kit again with HEX key and 7-segment display. I wrote the monitor program using 6502 instructions. I used TASM assembler. 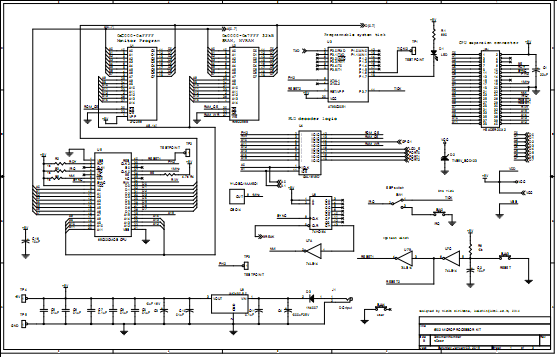 My intention is to design the microcomputer board that uses 6502 as a CPU. 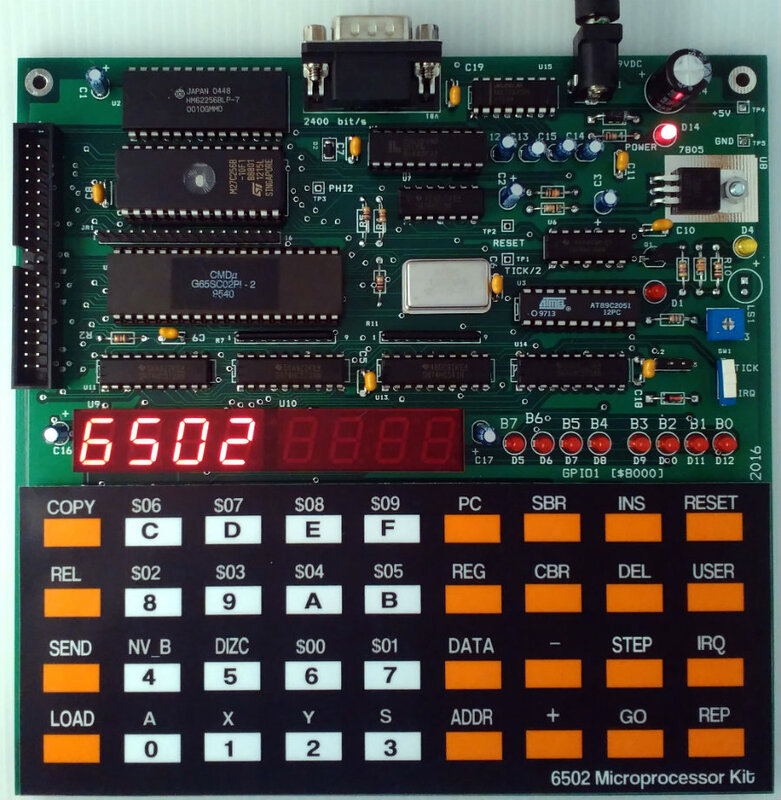 The kit is suitable for today student to learn many addressing modes and hardware of the 6502 CPU. The circuit is simple and easy build. 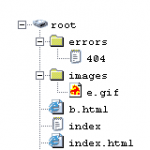 Software descriptions: Monitor program was written with 6502 instructions. The source code was translated to hex code using TASM assembler. 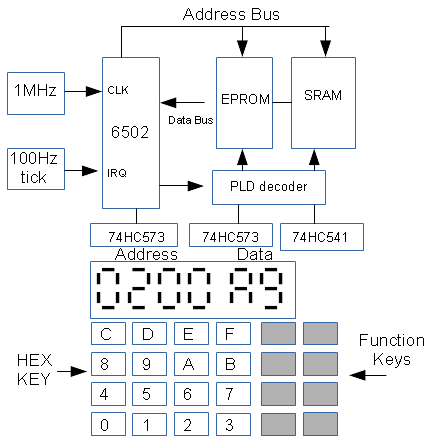 Main body is forever loop keyboard and 7-segment display scanning. When key pressed the associated functions will be serviced. Detailers are explained as the comments in the source code. 1.Memeory contents can be edited directly with hex keys. 3. Single instruction execution, no need jumper selection.